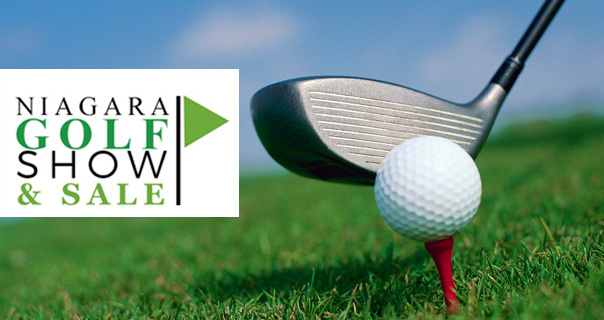 Welcome to the 8th Annual Niagara Golf Show & Sale, Niagara’s only showcase for everything golf in the region. This years show is shaping up to be the best yet with 60+ vendors from Niagara, Ontario, Western NY, Pennsylvania, Michigan and Ohio showing their product, whether it be guest fees, memberships, stay and play packages or selling that latest driver, set of irons or new pair of shoes. This opportunity is wonderful as it is showing that the Niagara golf market is alive and well. Come out and purchase at clearance pricing bags, shoes, headwear, clubs and apparel from Niagara Golf Warehouse and Tee to Green Liquidators. Meet representatives from local and regional golf courses promoting their memberships, spring rates, presale guest fees, stay and play packages and more.